Headmaster Skinnedwiener is the headmaster of the school in Springshire. 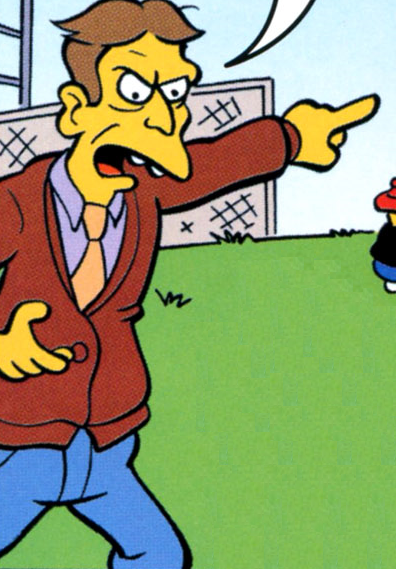 Headmaster Skinnedwiener stopped the school bullies from punching Bart. When Bart heard that his name was "Skinned Wiener", he started to laugh. Skinnedwiener then said that he assumed that was just respectful laughter. Comic story – Brit Simpson! Modified on April 16, 2017, at 11:13.